Shew! Did you survive Christmas Day? Well, we're just getting started on the WPP Blogging for a Cause Guest Post Series. Now I can't believe I landed this next blogger. If you love nail polish...where's the FIRST place you go to see swatches? Chances are good that you make a bee-line to Jen from The PolishAholic!! Wow. Is she an icon or what? She doesn't do a lot of nail art, but I knew she was a "must-have" for this series. 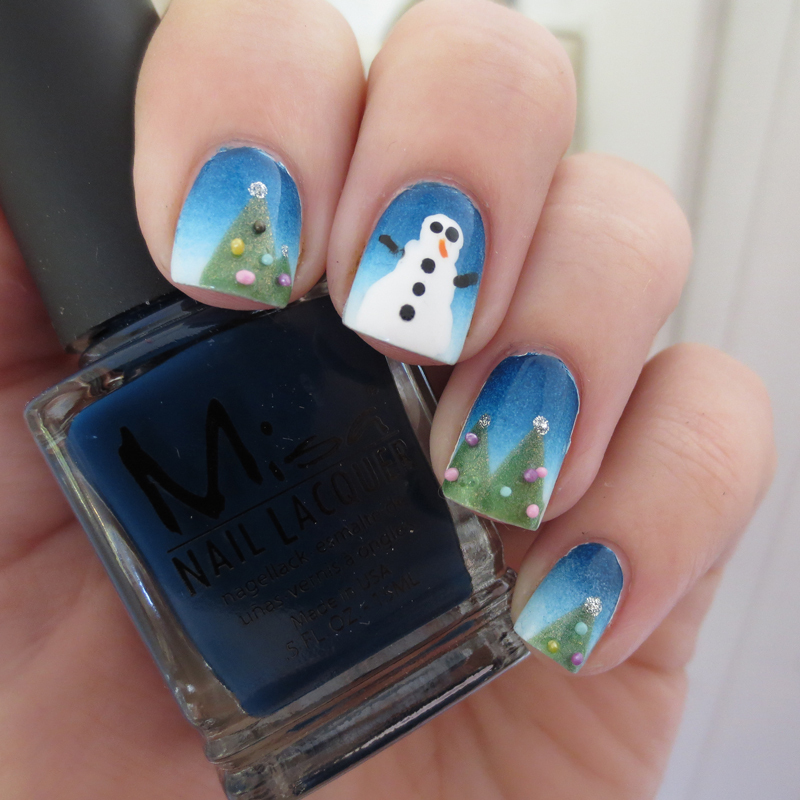 And not surprisingly, she's a closet nail artist who churned out something fabulous! I'm so grateful to have her on my blog! Thank you, Jen! I'll be donating yet another $10 to the Polished Girlz for Jen's awesome post. That brings the total to $80 so far! If this is the first post you've read in the WPP "Blogging for a Cause" Guest Post Series...pop over to the intro post here to see what an amazing organization each of these bloggers are supporting with their participation. Hi guys! I’m very excited to be here today with some nail art to share with you! 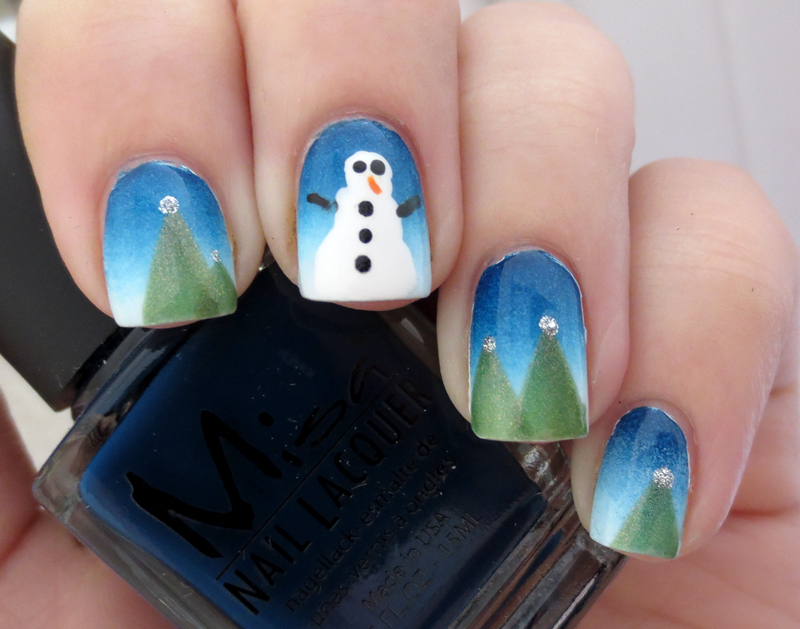 Nail art isn’t really my forte but I always enjoy giving it a go, especially during the holiday season! When Leslie asked if I would be interested in doing a guest post I started thinking up a million ideas for what I wanted to do and nothing really stood out to me, then I did a blue to white gradient one night out of boredom and just kept adding from there. I decided to try my hand at a snowman and some Christmas trees. Snowmen and I have a sordid history. I always try to paint them on my nails this time of year and they always come out looking ~special~, this nail art was no exception. I’m going with imperfection is actually perfection…my guy has some personality! LOL! Luckily for me the trees were much easier to do and I love the way they turned out! I also decided to add a little bit more to these and dabbed on some ornaments for festive trees! I used multicolored micro beads but you could also get the same look with polish and a dotting tool! The polishes I used for this mani are Misa Foggy Breath at 3am, Misa Blueberry Blast and Cult Nails Tempest for the gradient. 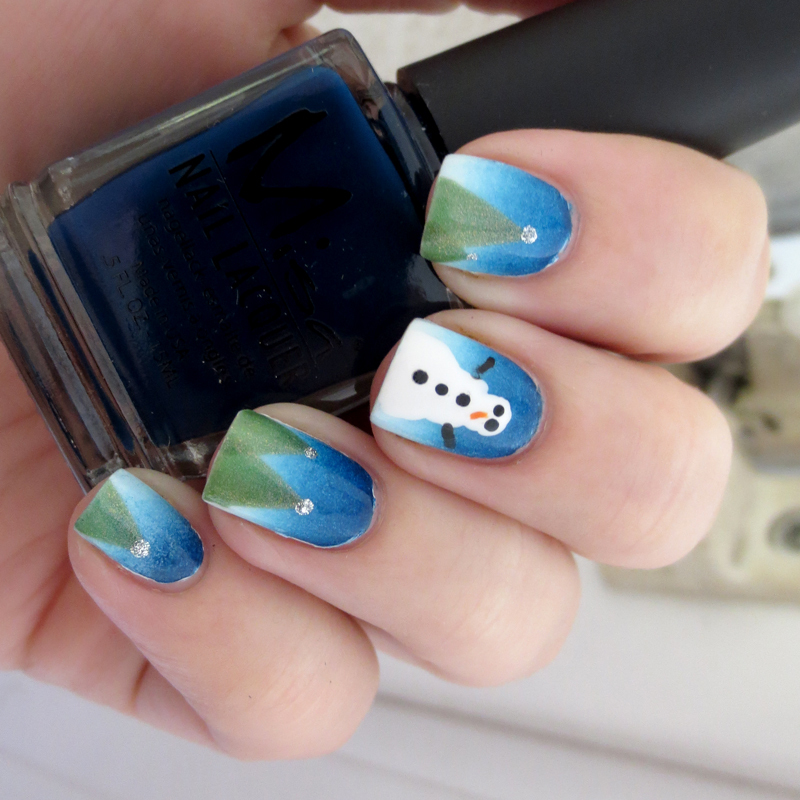 The Snowman is Cult Nails Tempest and Zoya Arizona, the black on the snowman was done with a nail art pen from Sally Hansen. The trees are Lacquer Lust Ho Ho Holodays with a touch of Misa Angel Eye for the star on top! Stay current on all things nail polish by following The PolishAholic on the web!